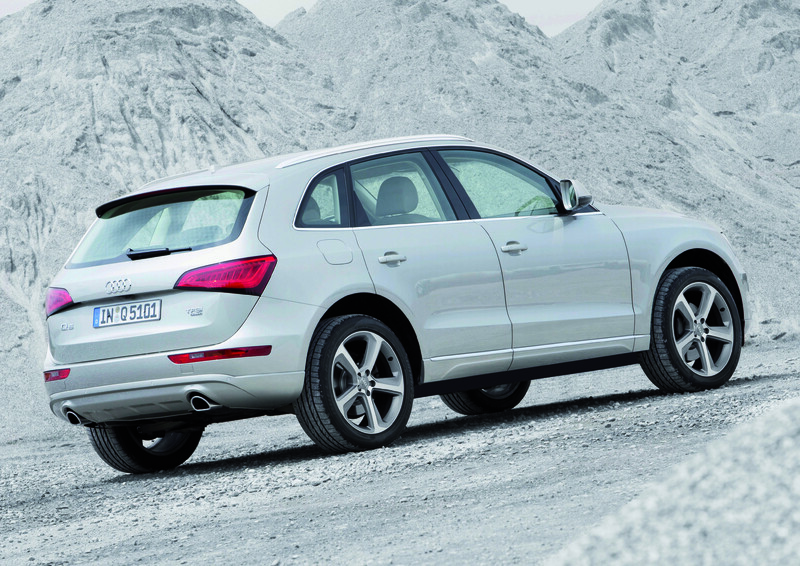 So power and efficiency are built into the Q5’s 3.0-liter TDI V6. How much? This boasts 240 horsepower while delivering an EPA estimated 24 mpg city and 31 mpg highway. Those look like reasonable estimates as I got 27.5 mpg in a week’s drive, about 60% being city miles. Yet the Q5 is impressive beyond its slick TDI power. Its looks are smoother than most other luxury utes. Gone are the sharp edges or bulbous fenders so many other automakers favor. This is a blend of modern looks and refinement with sassy LED headlights that give it a distinctive appearance. But Audi engineers deliver the smoothest running, driving and riding luxury ute I’ve driven, and I’ve driven a lot. That diesel purrs quietly and runs so smoothly you’ll hardly know it’s running at idle. And it links effortlessly to the 8-speed Tiptronic so it zips through the gears seamlessly, but with good power. This ute rockets away from stoplights and up to highway speeds with authority, and does it without turbo lag or any diesel clatter you may have heard in other vehicles, no matter the price. 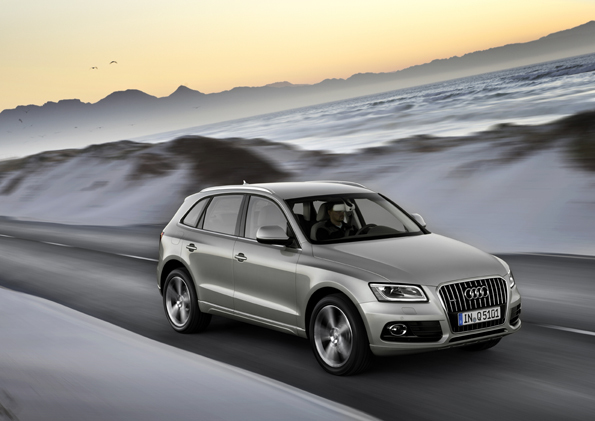 The Q5’s rack and pinion steering is sporty and dead on velvety smooth and precise. Steering effort is moderate and cornering feels like you’re in a well performing luxury sport sedan, no lean. Audi seems to have found the perfect mix of sport, luxury and precision, not only in handling, but in ride. Multi-link suspensions front and rear along with 19-inch all-season tires give the ute a superb well-controlled ride. Also included is Audi’s quattro system that gives the ute good grip in the wet. Traction and stability control are standard and braking is supplied by four large discs. Checking in at 4,079 lbs., the Q5 is 253 lbs. lighter than the recently tested and popular Acura MDX, so while big enough to carry five adults and luggage it doesn’t feel massive. The Q5 rides on a 110.5-inch wheelbase, less than an inch shorter than the MDX and will tow 4,400 lbs., about 900 more than the Acura. Inside, the test ute is well laid out and attractive, along with being incredibly quiet. The clean modern design includes tiny wood accents in the passenger-side dash and on doors, with pewter-like trim and pewter-look dash buttons along, door releases and air vent trim. Overhead in the test unit was a gray headliner and expansive panoramic sunroof with gray net sunshield that was tightly woven so little sunlight filtered through on bright days. 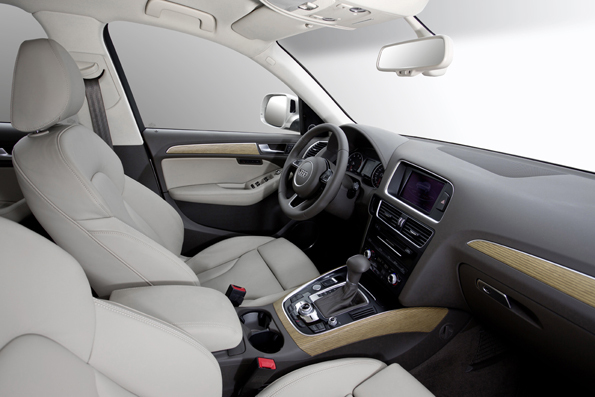 Inside Audi offers a handsome, modern look that’s more contemporary than some German makes. Seats and dash were black leather here and the seat surfaces supple. Seats were mildly contoured on the bottom with the backs featuring more supportive contouring. These would be good on a long trip and, of course, are powered with three-level heat and a couple of seat memory buttons for the driver’s side. That seat also has a power lumbar support. Rear seats are well shaped and easily hold three adults, plus the split rear seats fold flat for increased cargo room, 57.3 cubic feet when both seats are lowered. 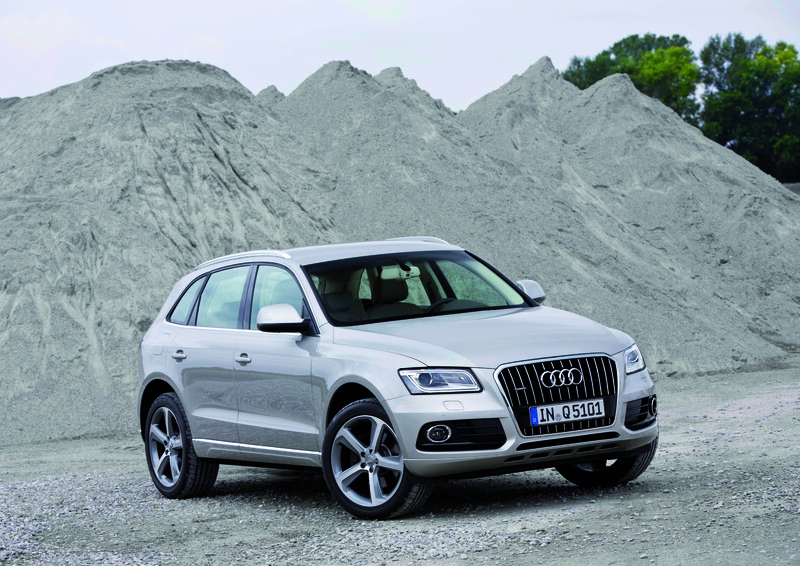 The Q5 also features a power hatch for easy cargo loading and the hatch’s window includes a wiper. I found the dash easy to see and all the buttons simple to find and identify while driving. There’s a radio/navigation screen primarily controlled via a single knob mid console. While not my first choice of layouts, this worked well and was simple to figure out. It helped that large separate buttons where available to click into the radio, navigation, phone or media modes. I also like the roller buttons on the steering wheel hub to adjust radio volume or trip computer modes. Oddly, the test ute had a manual tilt/telescope steering wheel. I would expect power at this price. The test Q5 also added a $3,550 stereo and navigation upgrade, including an HD radio, rearview camera and online connection for six months. The Audi navigation includes Google Earth visuals for the maps, so you see outlines of buildings, houses, parks, lakes, etc., helping give the driver a better visual reference point for where you are. The one negative I had was the automatic climate control system that kicked down the fan speed too much once the vehicle started to warm, leaving the driver’s feet to get cold unless you manually adjusted the fan speed higher. I know that’s how the rest of us live, but in a luxury ute, I don’t want to have to futz with it. What price does all this luxury come to? Well, the tested TDI model lists at $46,500, with an $895 delivery charge. With options this one landed at $51,445, about what the tested Acura ended at a few weeks back, but this one starts about $5,000 less expensive. Audi also offers a base 2.0T Premium model with a 2.0-liter turbo gas engine. That model lists at $37,300 and gets only 20 mpg city and 28 mpg highway. A 3.0T Premium model with quattro starts at $44,400 and a Q5 Hybrid Prestige with Quattro begins at $51,300, getting 24 mpg city and 30 mpg highway, so the diesel has the better highway figure, by a smidge. The Q5 with TDI is certainly a top-flight SUV and a relative bargain at that, especially considering its gas mileage figures. But remember that diesel fuel costs considerably more than gasoline and that while it burns clean it’s still sloppy when filling the tank. I challenge readers to find a clean nozzle handle at a diesel pump. Most are coated with a slippery, stinky diesel residue. If diesel suits you, this is the king of the hill. If not, consider a gas-powered Q5. Hits: Smooth looks, smooth ride, smooth acceleration, smooth handling! Comfortable quiet interior, easy controls, 3-level heated seats, power hatch, back-up camera, giant sunroof, LED lighting and good diesel mileage. Misses: Automatic heat lets feet get cold and a manual tilt/telescope wheel at this price? Diesel burns clean, but costs more at the pump and is sloppy filling the tank.